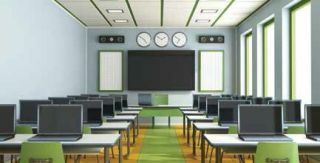 * 99% believe that school design is important for creating a good learning environment. * 89% believe it is important for teacher retention. * 79% believe it is important for student attendance. * The classroom environment can affect a child’s academic progress over a year by as much as 25%.